“Where Does Your Fertilizer Come From & What Determines Cost?” Trey Cutts, Yara North America Inc. These presentations are available through the “Focus on Cotton” resource on the Plant Management Network. 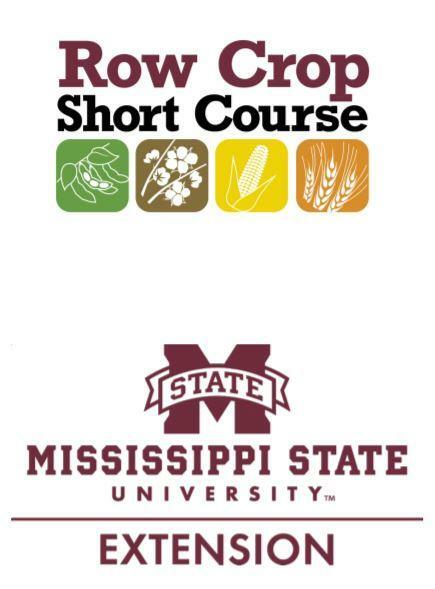 This resource contains more than 100 webcasts, along with presentations from six other conferences, on a broad range of aspects of cotton crop management: agronomic practices, diseases, harvest and ginning, insects, irrigation, nematodes, precision agriculture, soil health and crop fertility, and weeds. These webcasts are available to readers open access (without a subscription). The “Focus on Cotton” homepage also provides access to “Cotton Cultivated,” a new resource from Cotton Incorporated that helps users quickly find the most current cotton production information available. These and other resources are freely available courtesy of Cotton Incorporated at http://www.plantmanagementnetwork.org/foco. About Plant Management Network: Plant Management Network (PMN) is a cooperative, not-for-profit resource for the applied agricultural and horticultural sciences. Together with more than 80 partners, which include land-grant universities, scientific societies, and agribusinesses, PMN publishes quality, applied, and science-based information for practitioners. All subscription-based information on PMN can be accessed for an annual subscription fee. About the Cotton Board: The Cotton Research & Promotion Act established the Cotton Board as a quasi-governmental, nonprofit entity to serve as the administrator of the Cotton Research & Promotion Program. Funded by America’s cotton producers and importers through the cotton check-off, the program’s research and promotion activities are conducted worldwide by Cotton Incorporated, the Cotton Board’s sole-source contracting organization, to increase the demand for and improve the market position of cotton. The Cotton Research & Promotion Program continues to work in all areas of cotton’s pipeline–from the field to the consumer–to keep cotton the number-one fiber choice in the United States. For more information about the Cotton Board and the innovative activities stemming from the program, visit http://www.cottonboard.org.